If you haven’t checked out Hiring a Longarm Quilter: An In-Depth Guide that I put together with Suzy Williams of Suzy Quilts, you definitely should! It’s packed with lots of information you may find interesting or helpful, hopefully both. Did any particular project catch your eye? The nature of my job requires collaboration. The following are my photos of quilting on other makers’ tops! Here’s a list of––and links to––makers, patterns, & pantographs. Meghan Buchanan of Then Came June made this patchwork quilt with her 12 year old cousin! 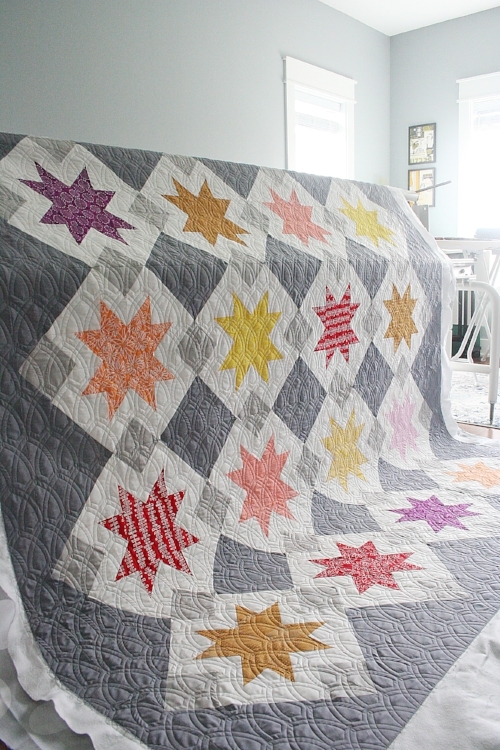 My best-selling Fierce Feathered Star pattern now includes instructions for a two-tone version! 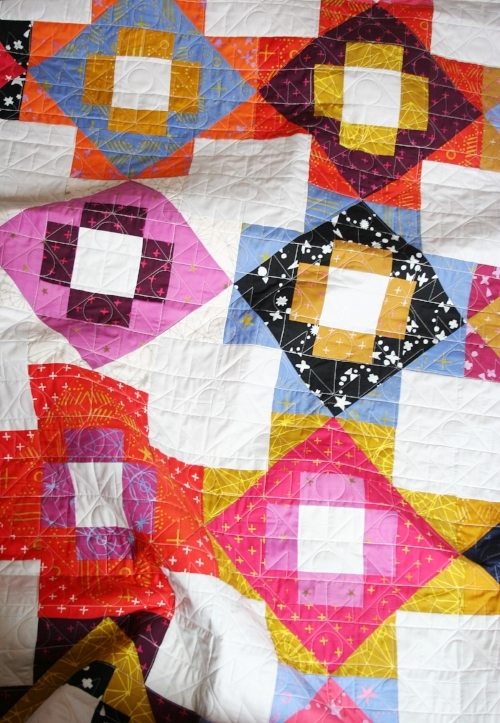 Click here for instructions for turning just ONE Fierce Feathered Star block into a lap quilt! I'm Jess. I like to quilt. I get a certain giddy joy when helping quilters finish their quilt tops with longarm quilting that SINGS! Would you like to create some magic with me? Visit my quilting services page for more info! 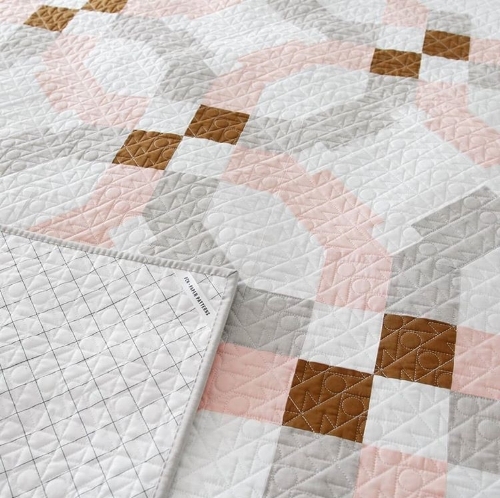 I also really geek out over designing and making original quilts. When I get to share the process with you through patterns...? Well, that's just the cherry on my sundae. © 2015-2019 Jessie Zeigler - All rights reserved. Please do not copy photos, tutorials or other content. Patterns (free or purchased) may not be distributed without consent. If in doubt, please email me at threadedquilting (at) gmail.com.